Two Orlas within a week of each other? I’m definitely a bit obsessed with them. 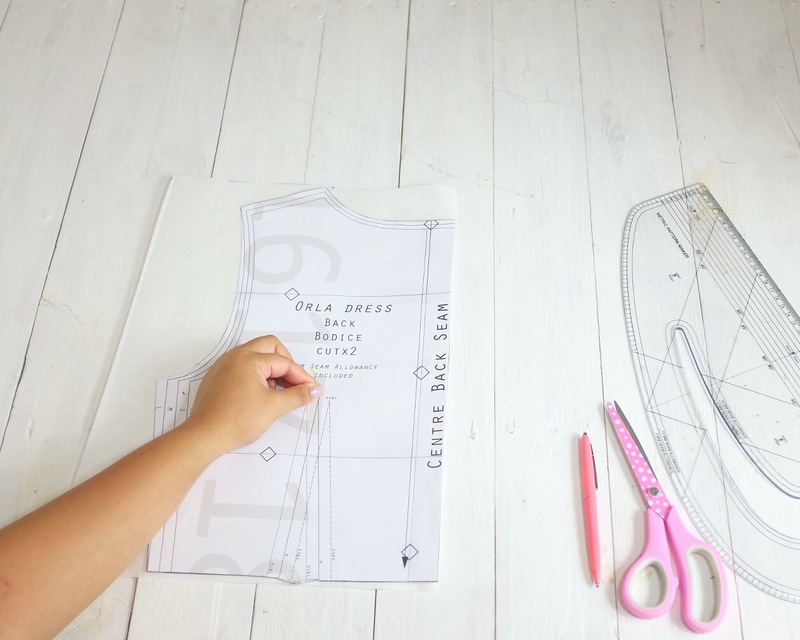 The free Orla dress from French Navy is just such a sweet and simple basic pattern that it’s easy to think of lots of things to do with it. 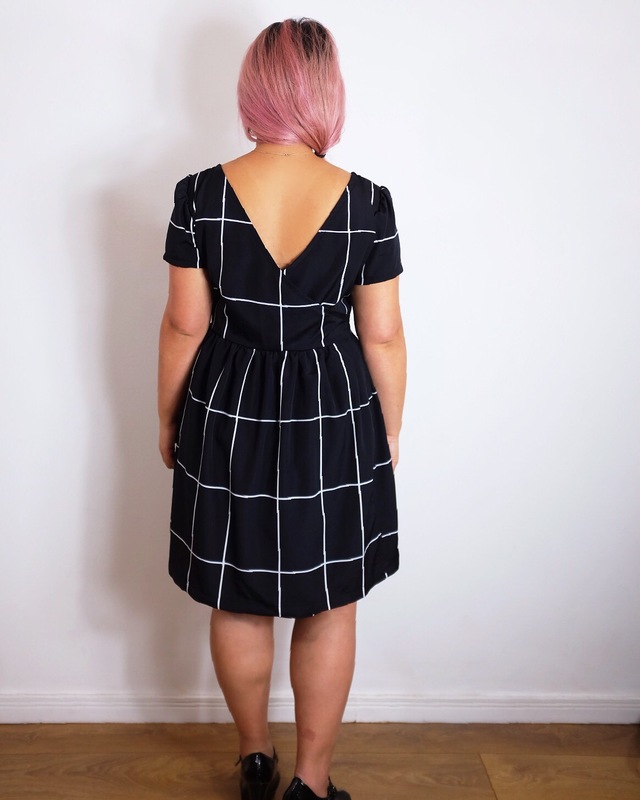 There something about this shape and style of dress that makes me a little ambivalent towards it but also desperate to make more… I had the same issue with the Moneta dress from Colette which is the jersey version of the same style. Weird, but at least I’m consistent! 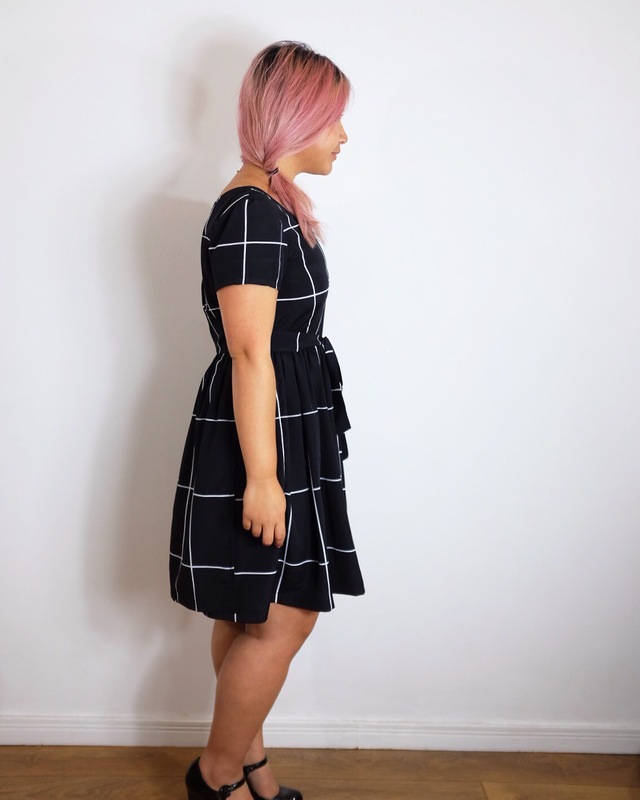 After I finished my first Orla dress, I had the idea for a wrap hack that I had a gut feeling would work well with this pattern. I was majorly inspired by the new Orsola dress pattern from By Hand London which is so beautiful (I love the version by Bianca at Sleepless in Bavaria if you’re looking for an example) but perhaps a little fancy for my normal style. That pattern has a gorgeous slim fitting silhouette and a back wrap which dips to show a bit of skin. So pretty! I’d always like the idea of a back wrap dress in the past but I’d always put it on the back burner until now! This seemed like the perfect time to jump on the back wrap bandwagon and have a go at it! The wrap hack is an easy one and I’ll put instructions at the end of this post on how to do your own. I really like the overall look though! It’s a great smart/ casual dress and it’ll also be good for holidays as the fabric doesn’t really crease. Perfect for balling up in a suitcase! Haha! 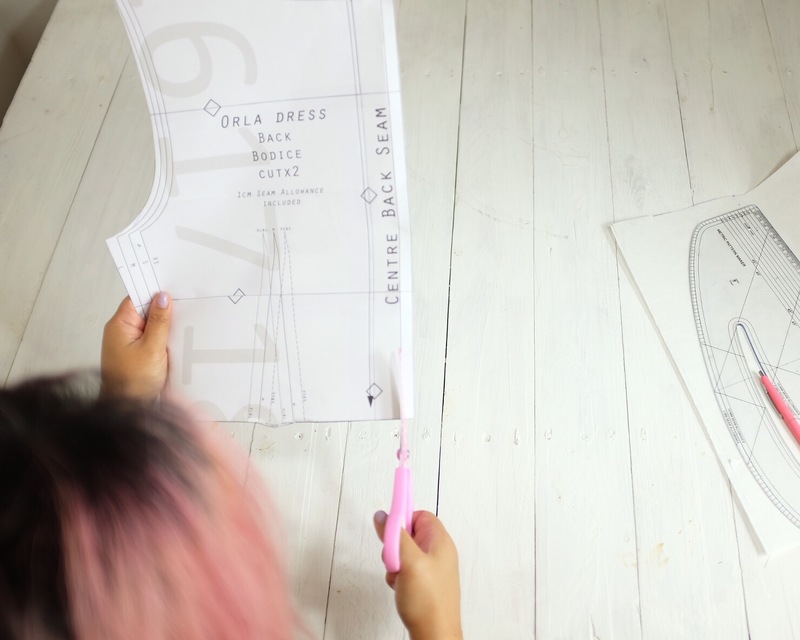 Here are some basic instructions on doing your own back wrap Orla hack. 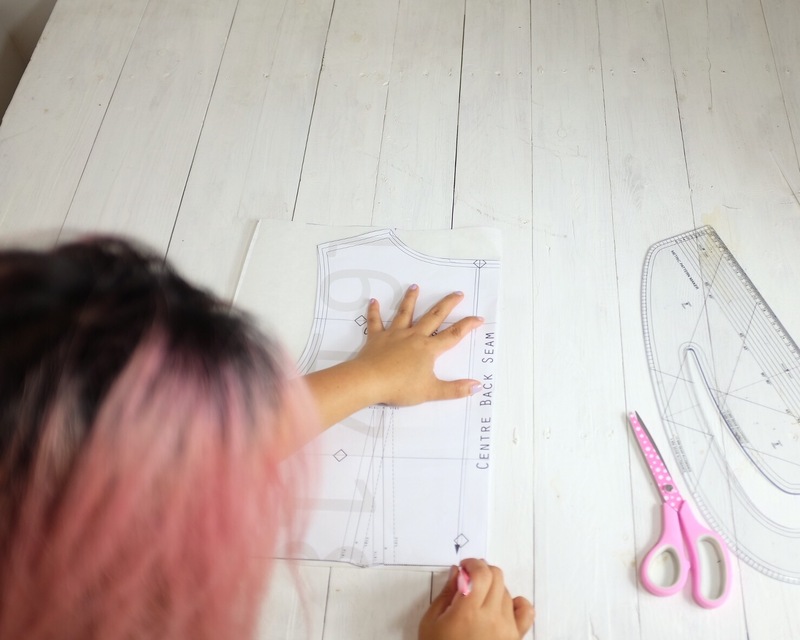 All you need to do is adjust the back bodice piece! 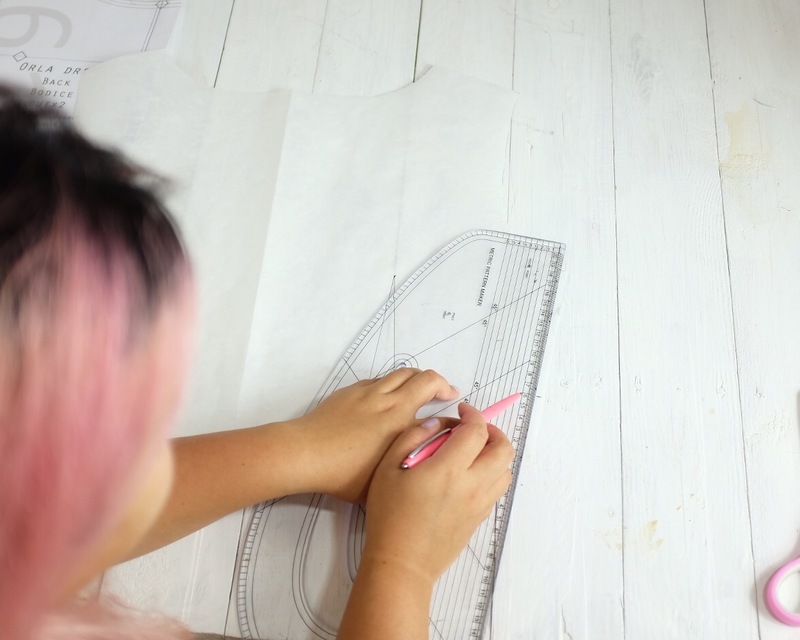 A pattern master or French curve if you have one but not necessary. 2. Place the centre back on the edge of the fold of the new piece of paper. 5. From the neck on one side draw a line to the opposite side seam that meets 6cm above the edge of the pattern. 6. Close the dart by folding and taping the lines together. Trim the new neckline if needed to smoooth. 7. Now to make the dress you need to cut 2 of these pieces. You also need to cut 3 front skirt panels and ignore the back skirt panels completely. Cut the front bodice and sleeve as normal. 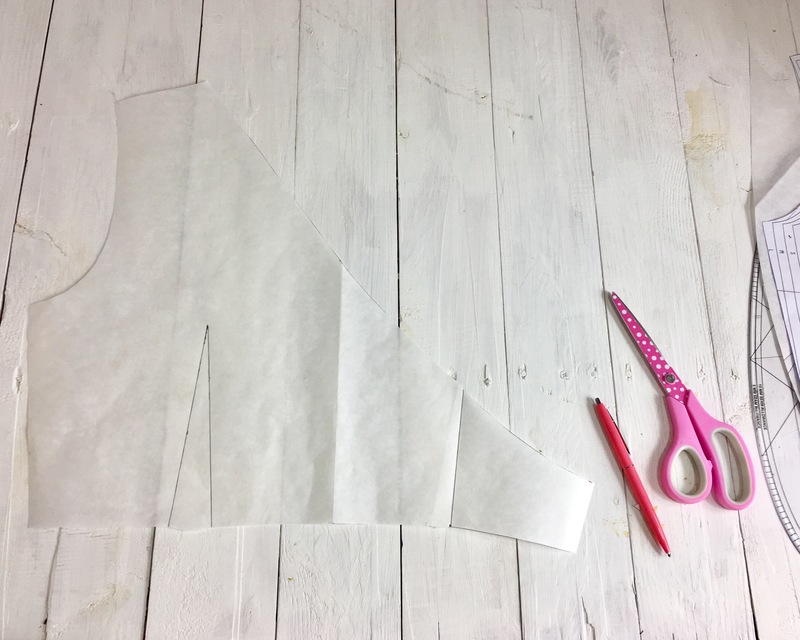 You will need a lot more bias binding tape than what’s specified (enough to go around the entire new neckline and the length of the skirt). 8. To make the wrap ties cut 2 rectangles that are 10cm and as long as you want your ties to be. I recommend erring on the side of caution and cutting them longer than you think you need! 1. Sew all the darts. Sew the side seam as normal on the right hand side. On the left, from the waist, sew 1cm then leave a gap of 4cm and then continue the seam. Sew the shoulder seams on the bodice as normal. Press the seams open. 2. Sew the side seams on the skirt (so you have 3 front skirt panels next to each other). Gather the upper edge. 3. Sew the bodice to the skirt making sure the side seams match up and the gathers are distributed evenly. 4. Fold the ties right sides together lengthways and sew down one short side and one long raw edge. Turn them right side out and press. 5. Baste the ties into place just above the back waist seam. 6. Pin the bias binding from the raw side edge of the back skirt, along the neckline and down the other side. Sew. 7. Notch any curves and fold and press the bias binding to the wrong side. 8. Top stitch into place. 9. Sew in sleeves . Lovely dress! 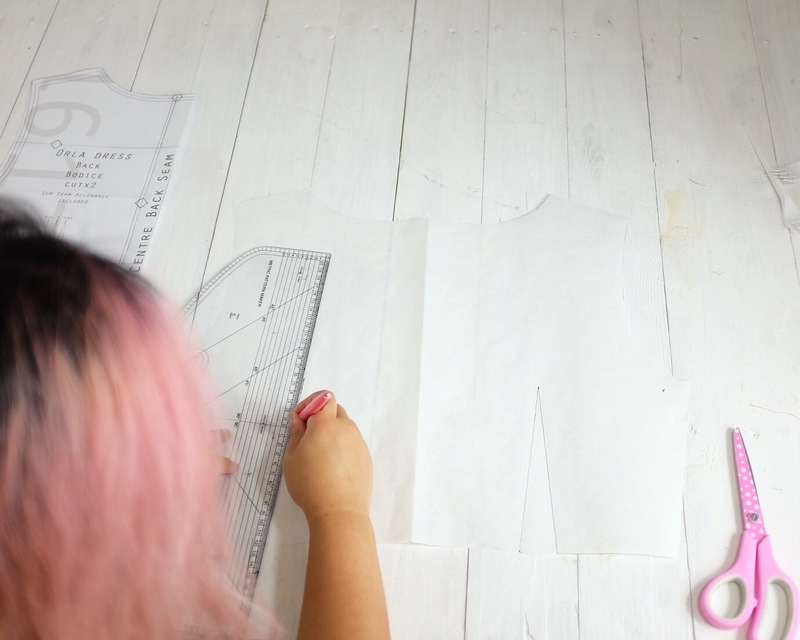 Looking at your photos of altering the back pattern piece I was struck with how confident you are in changing a pattern this much – and it turned out so nice! Turned out so nice, great hack! Great job! The pattern and fabric combine so well, they look fab on you.